When I ponder over life in England, I see vast expanses of countryside, spliced by ditches, rivers and Roman roads. Then I think of tax. Nasty, black, oozing tax. British travellers often believe that travelling is an escape from the taxmen, however few who travel realise the beast is still tapping their savings. Here’s an overview of how to stop paying tax in the UK, whilst you’re travelling. The tax I’m referring to is the tax on your savings. If you pull up any bank statement, you’ll see you receive interest on your savings, and you’ll see you pay tax on that interest. We know, for the next six months you’re escorting Paddington Bear through Peru, or learning Muai Thai in Bangkok. 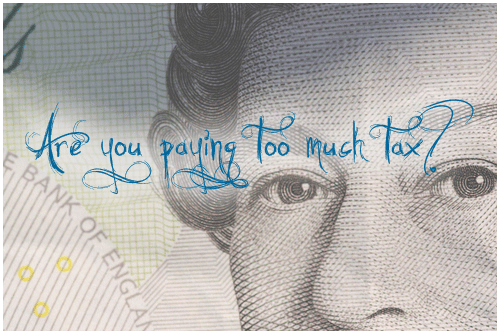 So should you be paying tax? If you are a UK resident you’re allowed to earn an income of at least £124 a week before you start paying tax. This means, if you’re a carefree traveller cruising on your hard earned savings (i.e. not earning any income) then you may be paying tax on your savings, when you don’t need to be. Before you jump out of your seat and start telling your travel buddies you’ve just discovered you’re due a humungous tax rebate; sit down, and relax (this is the British government). Unless your savings account is bulging with high-end, five figures, the kickback won’t be huge. The amount will vary depending on your circumstance, but the bottom line is: you’re probably owed money. If you’re a savvy traveller, there is absolutely no reason not to claim this tax back. I won’t sugarcoat it, this can be time-consuming. You need to contact your bank(s) and ask for a summary of all the interest you’ve received, and any associated tax you’ve paid on that. Most banks are receptive, and should help you. Ask them to break it down, and let them know you’re planning to claim the tax back, as they’ll gear their support towards this. Then you’ll need to fill out the finicky R40 form. This can test your will, but chip away and the reward is there. Looking ahead, if you’re not going to be in Britain for a while, ask yourself: Why should you pay tax to a country you’re not using? Can I Become a Tax-Free Traveller? In comparison to claiming tax back, it’s relatively easy to achieve tax free status with a little forward planning. You’ll need to complete an R85 form to inform your bank(s), that you do not have to pay tax. They’ll make the necessary changes to your account(s) to stop taking the tax. If you bank with more than one bank, you’ll need to do one for each. Remember however, that if/when you return to circumstances where you earn above the £124pw threshold, it is your responsibility alone, to inform the banks you’re obliged to pay tax again. Failure to do so could incur penalties far in excess of the savings during your tax break. If you’re reading this and realise you have a period of time in your past five years where you earned less than £124 per week, then you could also claim back tax using the R40 form, for the tax you paid during that period. So come on Britain, take your eyes off the road, and take a look at your finances: You could be sitting on the Golden Egg.